The need to make a good first impression when potential customers visit your shop or item has never been more important, especially now that the big retailers have joined the game. The layout and links back to your shop and other items you want to promote encourage your customer stay within your product range and not wander off to look for other sellers. A professionally designed shop and item template instils trust in your company - you don't need to be losing business to the chains simply because your eBay templates leave customers unsure of whether or not they are dealing with an established business. You will be selling more profitably online in minutes! A professionally designed eBay item template. Up to 6 images per item included. 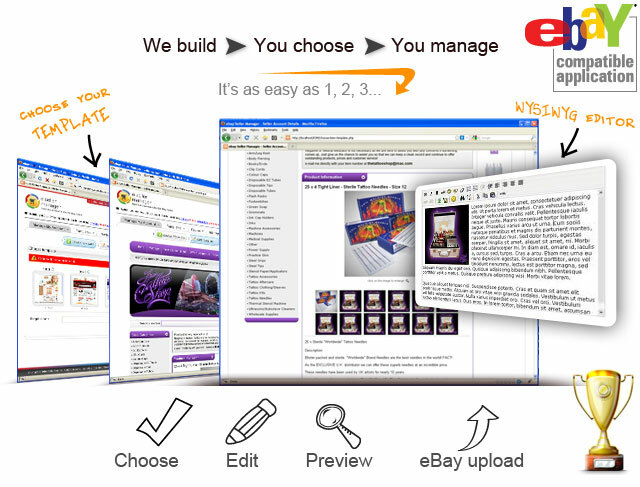 Branded eBay shop design and implementation. Design management software for quick & easy listings. Professional and unique branded design. Unlimited product and image hosting. What can I say about this company, well from start to finish they have built my website and ebay shop to my requirements..